Published: Sept. 17, 2012 at 04:28 a.m.
(2:36) (Shotgun) L.McCoy up the middle to BLT 11 for -2 yards (L.Webb). FUMBLES (L.Webb), RECOVERED by BLT-R.Lewis at BLT 9. R.Lewis to BLT 22 for 13 yards (M.Vick). The Replay Assistant challenged the runner was down by contact ruling, and the play was REVERSED. (Shotgun) L.McCoy up the middle to BLT 11 for -2 yards (L.Webb). FUMBLES (L.Webb), RECOVERED by BLT-R.Lewis at BLT 9. R.Lewis to BLT 9 for no gain (K.Dunlap). Published: Sept. 16, 2012 at 02:31 p.m.
Philadelphia Eagles running back LeSean McCoy fumbles the ball at the Baltimore Ravens? 11-yard line. 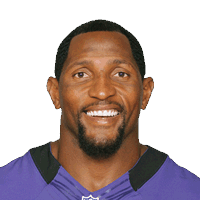 Ravens linebacker Ray Lewis recovers the ball and pushes it to the Ravens? 22-yard line. Published: Sept. 25, 2011 at 08:29 p.m.
(5:08) (Shotgun) S.Bradford sacked at SL 28 for -9 yards (R.Lewis). FUMBLES (R.Lewis), RECOVERED by BLT-H.Ngata at SL 28. H.Ngata for 28 yards, TOUCHDOWN.